When planning your trip to Berkeley, California, give Charter Flight Group a call to arrange a private jet charter flight, avoid the crowds in the terminals and the long security check-in. Charter Flight Group, with over thirty years experience in providing the finest private charter jets in the industry, believes in safe, reliable flights to Berkeley every time. Charter Flight Group believes that the key to our immense success in providing for private charter clients flights to Berkeley or anywhere else lay in careful attention to safety and service. Indeed, to provide safe flights every time, every aircraft used by Jet CFG must pass not only all FAA requirements, but also those of both Wyvern and ARGUS, two of the most respected and strict flight safety groups in the world. In addition, every pilot must pass a rigorous screening process to ensure that they are the most experienced and professional available. At CFG we believe that this adherence to safety adds immensely to the service we promise every private charter client. On making your call to any of Charter Flight Groups knowledgeable private charter flight consultants, you are going to have a choice of aircraft for your trip to Berkeley, California. For instance, if you need a light jet or turboprop, there are literally scores from which to choose. If you need something with greater range, you may prefer to charter a private Lear 55 mid-size jet, a Global Express heavy jet, or even a Boeing 727 jumbo airliner jet flight. 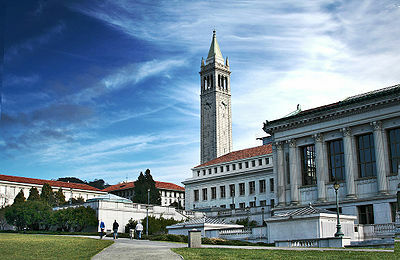 Whatever your needs in private jet travel to Berkeley, Charter Flight Group can provide. In addition, should you need a one-way jet flight or a round trip charter, CFG has you covered. If you require on-demand jet charter service or are even looking to secure an empty leg flight, Charter Flight Group expert private flight consultants are ready to plan your trip to Berkeley. On booking your jet flight, one choice you will have will be which airport to service your private jet landing and takeoff. When flying into Berkeley, there are numerous choices and of these, the two most common are Oakland International and San Francisco International. Either of these airports can handle whatever kind of private aircraft you choose to send flying their way, but the key difference is distance. San Francisco International lay across the Bay so you will need to take U.S. 101 north to I-80 north and east to get to Berkeley. From Oakland International, simply take I-880 northbound and you will arrive shortly in south Berkeley. If, in taking your private charter flight you would prefer to avoid the larger airports, there are some smaller, more private airfields from which to choose, such as San Rafael, just across the San Rafael Bay. Naturally, the key industry in Berkeley is the University of California at Berkeley, but a number of recent tech startups, and numerous traditional manufacturing centers remain. Tourism also accounts for a considerable portion of the local economy. Some of the more popular destinations for tourists include Telegraph Avenue, Berkeley Marina, Shattuck Avenue, Tilden Regional Park, Berkeley Art Museum and Pacific Film Archives, and the Phoebe A.
Hurst Museum of Anthropology. 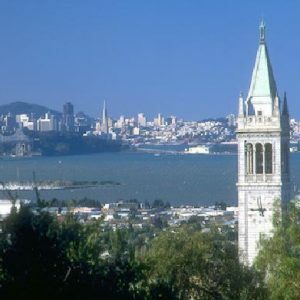 In addition, Berkeley has plenty of fine golf courses and sporting venues, quite a number of spas, upscale salons, and shopping centers, and perhaps more musical venues than many cities of this size. Two final distractions worth noting are the Greek Theater, which is an outdoor amphitheater unlike anything experienced outside Berkeley and the Triple Rock Brewery if you like a nice, cold, original micro-brewed cold one. Charter Flight Group believes in choice. Choice is a key to superior service for it places control in the hands of the customer. Indeed, at CFG, you can choose what kind of aircraft you want for your private charter flight, be it a turboprop plane, a small jet, huge jet, or any jet in between. You get to choose where to land and what kind of private plane or jet you book. With so many choices in aircraft, landings, friends, and flights, you are really only left with one last choice in private charter company…Charter Flight Group.